But with only a short visit and as much internet research as we could do at the time (believe it or not, there really wasn’t that much out there about Cuenca in 2009), we arrived unsure that we had made a good decision. So let’s go through that list and see how things turned out. 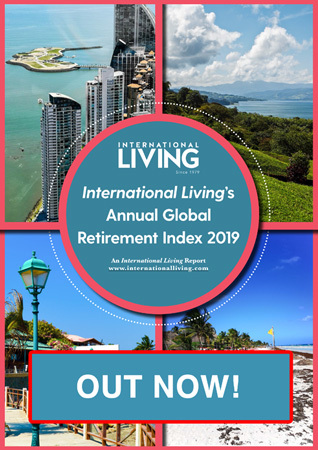 Our decision to move abroad was accelerated by what we call the “Economic Tsunami of 2008.” With both careers downsized and our nest egg shrinking by the day, early retirement was going to require a much lower cost of living. Cuenca has certainly lived up to its billing in this category. We live comfortably on our Social Security income, which is money we honestly paid little attention to in our high-earning days. And when we say “comfortably,” we mean just that. Our home is a modern two-story penthouse apartment with 270 degree views of the city. Gym and yoga studio memberships, frequent meals out, fresh flowers, and a housekeeper are all part of our enjoyable lifestyle. When it comes to the weather we’re like Goldilocks: not too hot, not too cold—just right. We’ve never much cared for cold winters, and moving to Ecuador from Las Vegas we’d had quite enough of scorching temperatures. Cuenca only has one season…spring. Temperatures always range from highs in the 70s F to lows in the 50s F, but we knew that before we got here. So what have we learned about the weather? Of course we saw hospitals and clinics during our investigative trip, but what does that really tell you about the quality of care? From personal experience during our years living in Cuenca we have received more personalized attention from the medical community than we ever received in the U.S.
Do you have all of your physicians’ personal cell numbers? We do. Do you feel like your doctor is racing to see as many patients as possible, from the packed waiting room to the few minutes of personal attention you receive? The doctors here aren’t caught up in mind-numbing government bureaucracy and fear of malpractice lawsuits. They take as much time as necessary with each patient, and follow-up visits for the same condition are free. We joined Ecuador’s Social Security healthcare system and have each had successful surgeries performed in the government hospital. The personnel are highly trained, the facilities are clean and modern, and the care is attentive and professional. The planet is still the same size as when we arrived, so the distance between Cuenca and our family in New Jersey and North Carolina hasn’t changed. But the ease of visiting them certainly has. Even with all their prior research, Edd and Cynthia learned that Cuenca was still full of surprises. 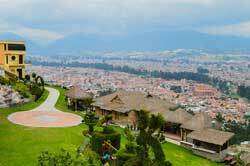 Since the opening of Quito’s new international airport in February 2013, the number, schedule, and pricing of flights to the U.S. have all improved. A round-trip from Cuenca used to involve overnight stays in either Guayaquil (Ecuador’s other international airport) or Quito because the schedules of national and international flights didn’t jibe. Now our overall travel times have shortened considerably, we arrive fresher, and avoid extra hotel and taxi charges. That adds up to more enjoyable visits with our precious children and grandchildren. Here comes the Goldilocks comparison again. We’re not small town people, so places like Cotacachi and Vilcabamba weren’t going to work for us. And while we love Quito, we weren’t comfortable taking on a new culture and language in such a big city. Cuenca fits nicely in between those two extremes. A population of over half a million sounds like a lot, but you can get from one end of town to the other by taxi in 15 or 20 minutes. We wanted a pedestrian lifestyle and six years later still have no interest in owning a vehicle. Our life is organized so that everything we need is within a 15-minute walk from our front door. This makes for a simple life and great exercise. “Becoming fluent in Spanish” was not on our wish list, and we arrived in Cuenca with Taco Bell level mastery of the language. We were prepared for the worst and knew we had to improve, but to our surprise many locals speak at least some English and like practicing with us expats. The more Spanish you know the easier and more enjoyable life is, but we’ve learned that fluency isn’t a necessity for survival. No matter how hard you try to think of everything a few items always slip through the cracks. Something that didn’t occur to us way back when we were putting together our list was the importance of clean drinking water. 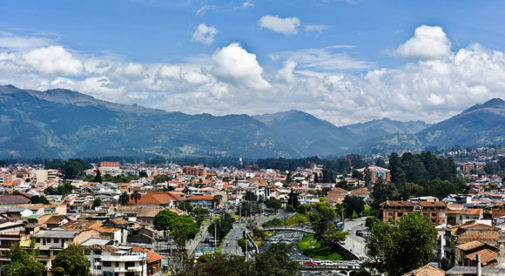 Cuenca’s water is consistently ranked the best in Ecuador and a German study called it the best in Latin America. “Make more friends” was also omitted. Our life in the States was too busy to even think about having lots of friendships. Now with the time to nurture relationships, our family of friends has become the most surprising, and one of the most important elements of our expat life. No matter how carefully you plan your move abroad, there will be lots to learn once you get boots on the ground. Embrace the unexpected with a positive attitude and keep smiling. Remember—expat life is an adventure, so enjoy it all!